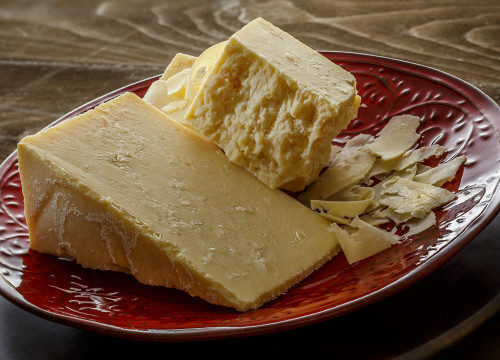 This farmstead extra sharp cheddar is aged to perfection. Made from our premium Holstein cow milk, and aged for more than 4 years, the crystalline cheese delivers a bold flavor intertwining the rich nutty flavor with the right amount of tang. At approximately eight to ten months old, our Snake Creek Medium is in full swing developing the delicious sharp notes that will be fully displayed later in its aging. Its flavor notes are developing nicely, but have yet to develop the bite and intensity of a truly sharp cheddar. Made at the base of Snake Creek Canyon, for which it is named, this cheese is sure to delight and enhance the flavor profile of your cheese board. 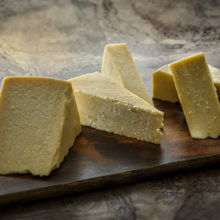 This farmstead fresh cheddar is a creamy and mild. Made from our premium Holstein cow milk and aged for less than 6 months, the cheese accentuates the clean, fresh and natural flavor you crave. 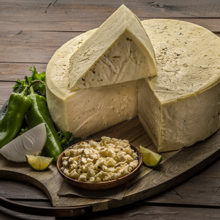 This farmstead fresh cheese is a wonderful addition to any Mexican dish. Made with our premium Holstein cow milk and pressed with our handcrafted verde salsa, the flavor brings an explosion of heat with a mild kick that enhances the natural flavor of the cheese.